I briefly mentioned views in a previous post about Drawing Explorer. 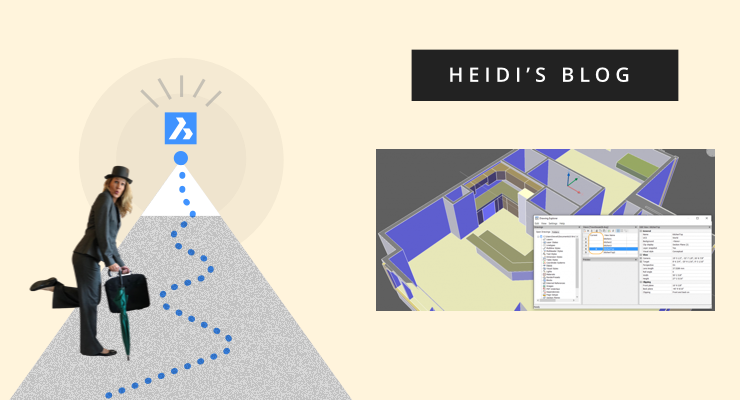 That part of our journey was focused on the BricsCAD Classic Edition, and 2D design. While views are fully supported in the Classic edition and useful in 2D design, they are especially powerful and often necessary for 3D modeling. So, in this post we’ll take a closer look at view tools. 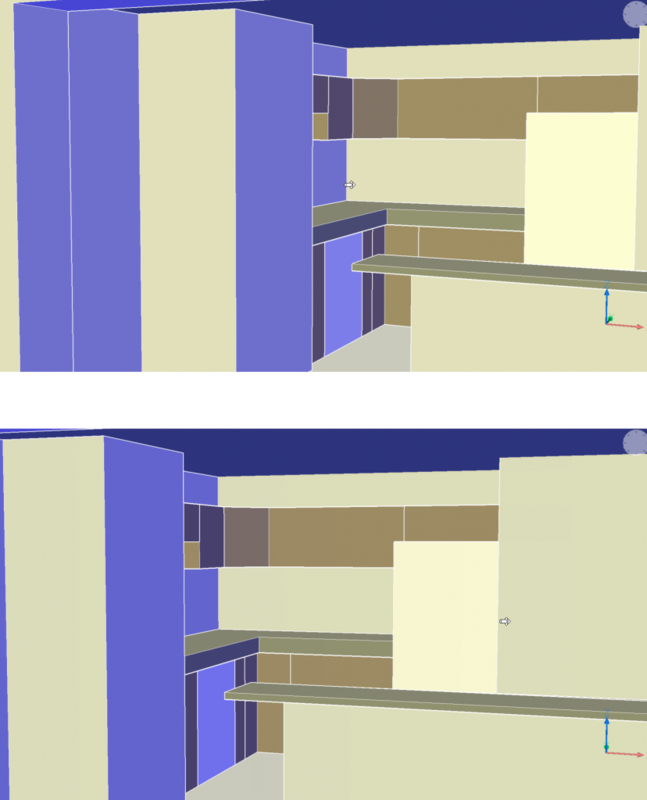 BricsCAD offers many tools that make it easy to navigate around your model. However, if you often find yourself returning to specific areas of your model, it can be helpful to save them as named views. You can create and manage named views in the Drawing Explorer (EXPLORER command). 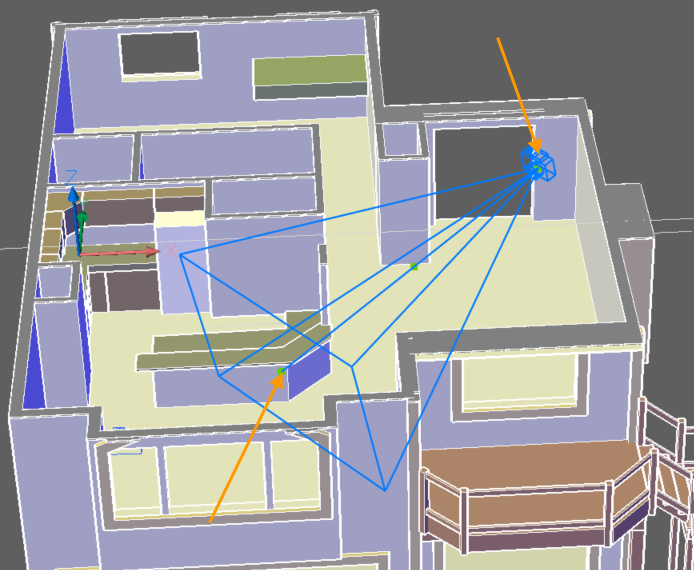 If you use the VIEW command, BricsCAD automatically opens Drawing Explorer with the Views panels displayed. Use the New tool in the Views panel to create a new view from the current display. The current view properties, as shown in the Properties panel, are applied to the named view. Some examples include Perspective and Visual Style. 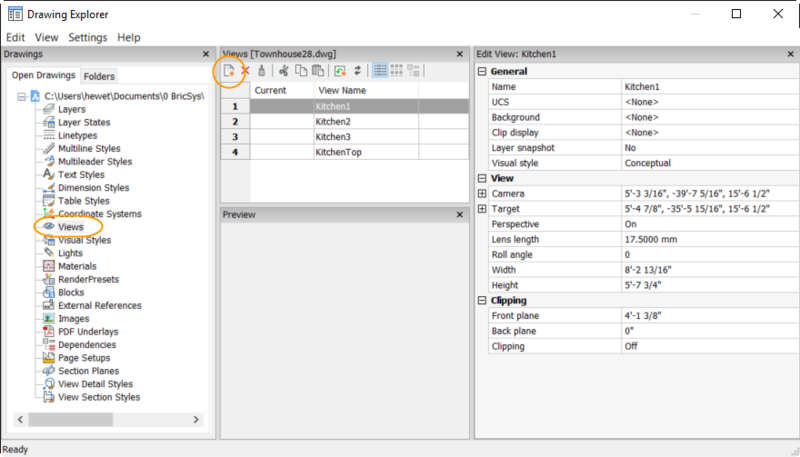 Additional settings may also be included with the named view, such as layer visibility and section plane clipping. You can modify the view properties after creating it using the Edit View panel in Drawing Explorer. With named views, you can easily navigate to key areas of your model, with proper visibility, by simply selecting the view to set current. They’re easy to create and can save you many picks and clicks! 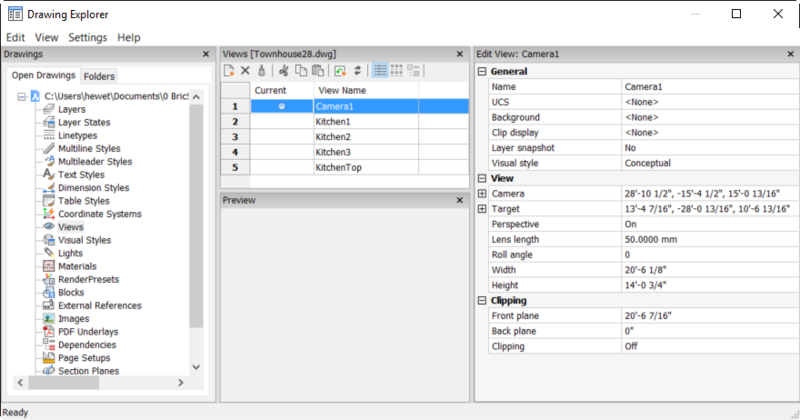 The Camera tool (CAMERA command) offers another method to create named views. Ensure the CAMERADISPLAY variable is set to 1 (On) so you can see the Camera icons. Then, simply place the camera in your model as you do any other object. After placing the camera, you pick where you want the camera to point (the target). The camera location is automatically added to the Views list. You can select and move the camera or target within the model or modify its properties in the Edit View panel of Drawing Explorer. One of the most challenging things about creating named views is getting to an appropriate location inside your model. But, with the Real-time Walk tool (RTWALK command), it’s as easy as 3D gaming! Simply hold down the left mouse button while pushing the mouse in the direction you want to walk. The faster you push, the faster you walk! When you get to a desired location, use the View tool to save a named view. 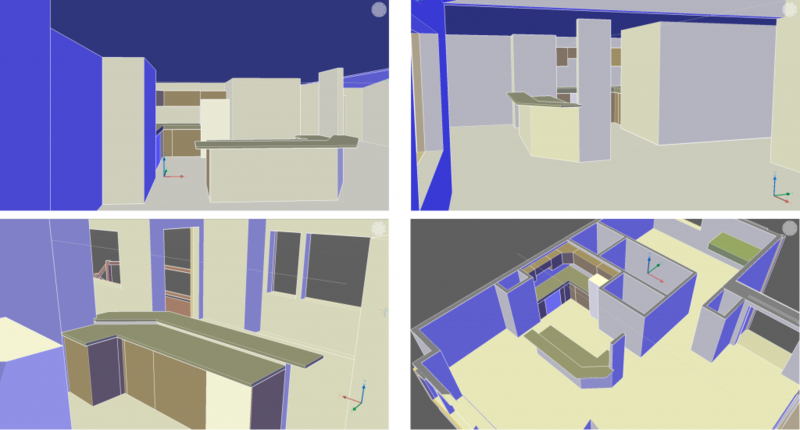 At this point in our BricsCAD Journey, we’ve explored most of the tools needed to create a 3D model. The next stop on our journey leads us to visualization tools as we explore materials.